XERISCAPING: Landscaping and gardening in a style that reduces or eliminates the need for supplemental water from irrigation. Xeriscaping is gaining acceptance as access to water becomes more limited. RAIN BARREL WATER CATCHMENT: Rainwater harvesting is a great way to lower your water bill, as the natural precipitation can be used to irrigate gardens, plants, and lawns. The simplest type of catchment system involves purchasing a rain barrel and connecting it to the existing gutter system with tubing or additional downspouts. IRRIGATION--Drip System: Micro-irrigation or drip systems are generally more efficient than conventional sprinklers because they deliver low volumes of water directly to plants' roots, minimizing water losses to wind, runoff, and evaporation. IRRIGATION--Smart System: Unlike traditional irrigation controllers that operate on a preset programmed schedule and timers, smart irrigation controllers monitor weather, soil conditions, evaporation, and plant water use to automatically adjust the watering schdule to actual conditions of the site. These controllers significantly improve outdoor water use efficiencies. PATIO AND DRIVEWAY--Permeable Pavers: Porous and permeable paving materials have several advantages, such as the ability to allow rainwater to be absorbed into the ground, supplementing the ground water and relieving the sewage system. 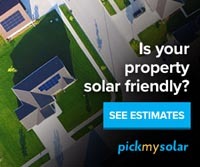 SOLAR OUTDOOR LIGHTING: Solar lights are versatile, lower energy costs, require little maintenance, continue working even if there is a power outage, install easily, give off no emissions so they are better for the environment, are safer for pets and children as they are cooler to the touch and there is no risk of electrocution, and use the sun--a renewable resource. Many have darkness sensors, so they turn on and off automatically, saving energy and money.